I bet you didn’t know that when you shine a flashlight creating a beam of white light, within that beam all the colors of the rainbow exist. 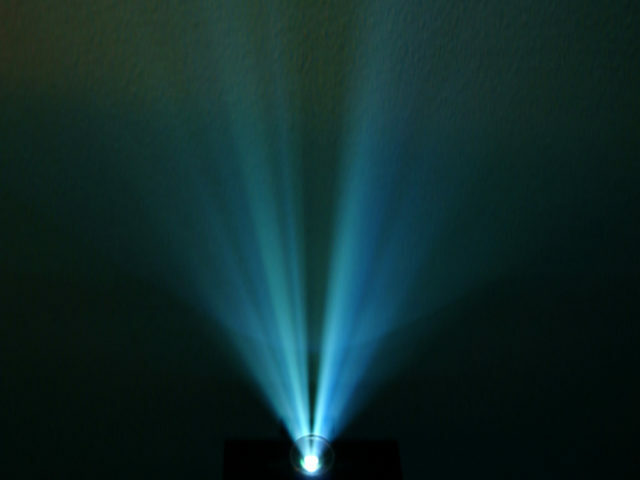 That simple white beam of light is actually a combination of purple, blue, green, yellow, orange and red colored beams. 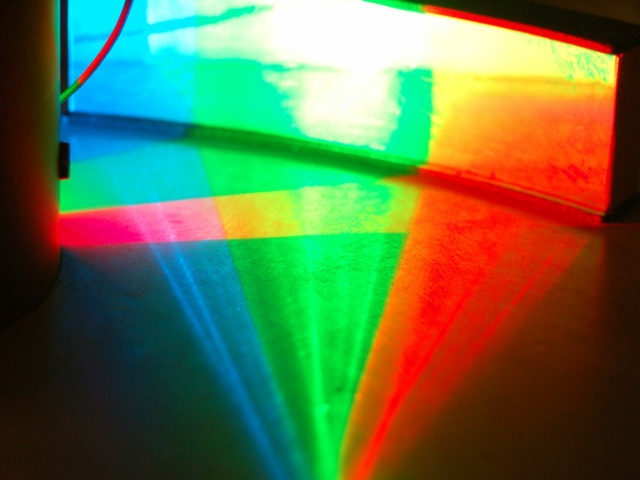 If you take that beam of white light and send it through a glass prism, the different colors will show themselves vividly as they exit at a different angle. Rainbows are created in a similar manner. A rainbow is formed when the sun’s rays are hitting raindrops. Light from the sun passing through droplets of moisture in the air takes on the familiar arched shape that we see as a colorful rainbow in the sky. Did you know that red will always be the outermost color and the darker blue to violet will always be the innermost color? 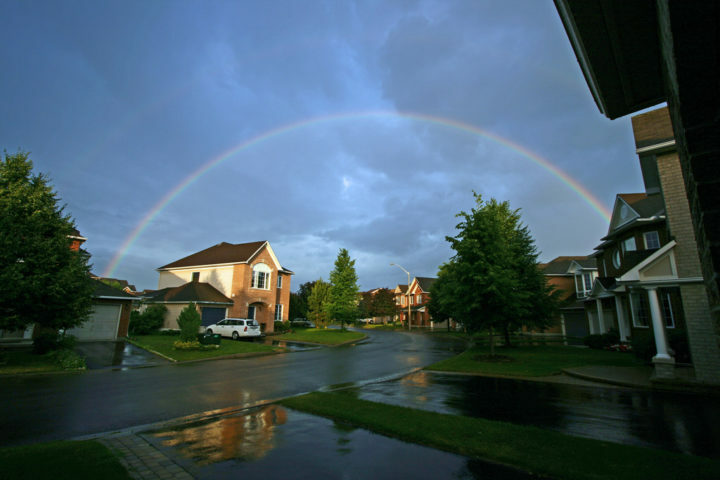 A double rainbow is rarer, though still quite common. Double rainbows can only be seen when you have your back to the sun and it it raining in front of you. Wondering what a double rainbow means? Is a sign from the cosmic Universe that you are about to have something great fall into your lap. Is a sign that one good thing will lead to another. Rainbows over Lake Superior are very common. I see them often through the summer months since there is quite a temperature variation here in Duluth, Minnesota which affects the moisture content in the air. Lake level is 600 feet lower than the hillside which surrounds the city, so it can be quite cool down by the lake and 30 to 40 degrees warmer on top of the hill. This makes it nice in August, as there is no such thing as a hot muggy day in downtown Duluth. We’ve all heard the fable of the leprechaun‘s pot of gold being located at the end of the rainbow. Sadly, I can personally debunk that particular fable. Last fall, as I was leaving my house one morning to go to work, I stepped out onto the porch and witnessed a strange phenomenon. The atmosphere within my community had taken on a warm rose color. The winds where calm. The only sounds were those of chirping birds carrying on as if nothing strange was taking place. As the interesting color seemed to persist, the thought that it might be caused by a rainbow really didn’t enter my mind. I thought more along the lines of an impending storm though — because the color permeated the air at ground level, rather than something you would see off in the distance. I thought it was a bit strange. As I drove away leaving our subdivision, it took only about a block to exit from the rose-colored atmosphere and return to normal conditions. I continued on to work. However, when I was a little farther down the road, I looked back toward my home, and it was unmistakable. The end of the arch, created by a very large rainbow extending well over the western part of the city, was directly over my street. As sad as I was to discover that great wealth was not coming my way since there was no pot of gold at the end of the rainbow, it was still the only time in my life that I’ve been able to say I’ve been inside a rainbow!